In light of the weather here in Eastern Pennsylvania over the course of the last year, many of you are considering the purchase of a standby or portable generator systems. When considering what to purchase, who to purchase it from, and who to trust to install the unit correctly, it is important to consider how long you will be needing the services of that unit. If you are buying a generator for the short run, and you will be moving on in 4-5 years, you may want to think price…above everything else. There are units designed to last a shorter period of times than others. You can generally tell how long your unit is designed to last when considering the length of the factory warranty. Here is a brief summary of the warranties on the most common brands of standby units. Of course, the life expectancy of all generators is dependent upon two other, yet very important factors. The installation has a lot to do with the longevity of the system. The unit placement, height and integrity of the base the unit is set on, the quality of the materials used in the electrical and mechanical (fuel supply) installation, the skill of the installer has acquired to make all of the necessary adjustments to the unit after it has been installed are all crucial in determining the life span of a generator. If the unit is not installed to eliminate excessive exposure and wear, and not adjusted to run properly once it is set, it will not last as long as it should regardless of the brand. 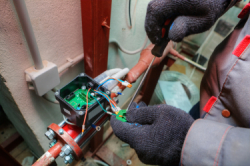 In our upcoming articles we will explore some of the different skills that are important, but this much is certain….if the installer is not factory-trained by a manufacturer to install their unit, they will usually not possess the specific skills to install that unit correctly. There are just too many adjustments that may need to be made to a new unit that only a factory trained individual knows about. Regular maintenance of these units by a factory trained technician will go a long way towards getting your moneys worth out of a system. The trained tech knows that oil changes are important, but there is so much more that goes into a properly performed maintenance on these units, and its there that the secret to a long life is hiding. The factory trained tech can make all of the necessary engine and alternator adjustments that will get the unit back in spec and running like it was when it was new. Proper air flow and fuel flow are crucial. Proper engine rpm and alternator voltage outputs and frequency must be kept within a small operational window or the unit will fail. Look for more on this most important subject in our upcoming articles. ​Generators require professional maintenance. They are not lawnmowers. Yes, they have an engine. The difference is…instead of turning a cutting blade, they are turning a rotor. 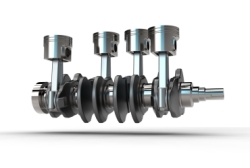 The rotor rotates courtesy of the turning crankshaft of an internal combustion engine. That engine must be precisely tuned to a much greater degree than a lawn mower, or your cars engine. 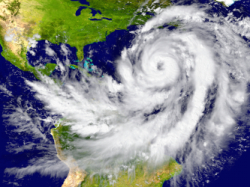 From hurricane preparation to generator operHere are a few tips to get your standby or portable generator ready to use, and some safety and operations tips.